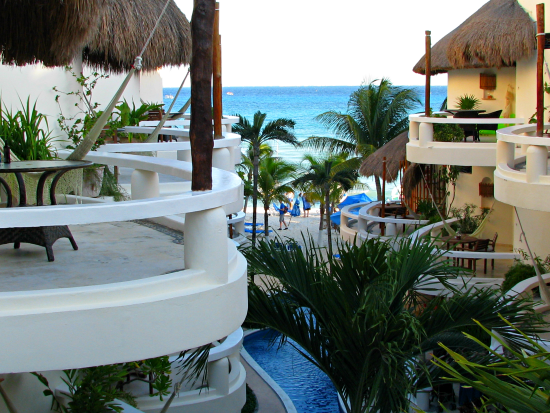 Playa Palms is an affordable, beach front hotel in Playa del Carmen. We were fortunate enough to spend a few days at the Playa Palms hotel in the center of Playa del Carmen. 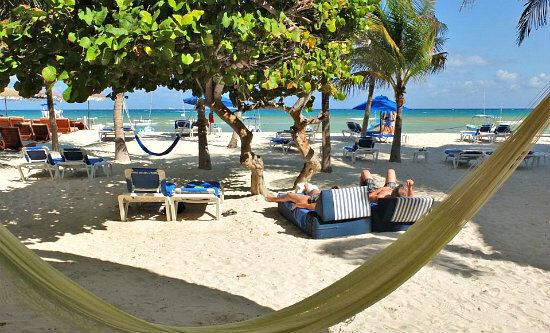 Playa Palms is a beach front boutique hotel. It has friendly staff, affordable rates, has kitchenette facilities in each of the suites and hammocks on each of the balconies. It even offers year-round specials. Located on 1st Ave. bis, you really can’t get more central than this. Steps from the beach, and only a few minutes’ walk from pretty much everything in the center of Playa del Carmen. 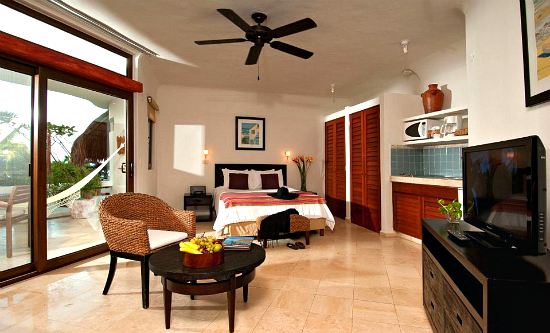 Ideally, the suites accommodate 2 people, with each room featuring a queen sized bed and a daybed. That being said, the daybed is quite comfortable and we were 3 in the room. You can choose garden, partial ocean view or ocean front rooms depending on your preference and budget. Included is WiFi, continental breakfast (served in the room! ), electronic safety deposit box, and the kitchenette area includes a mini-fridge, microwave, coffee maker and toaster. You can shop for yourself and prepare basic meals. The best part for us was getting to eat our meals on a balcony with a sea view and an ocean breeze. We even had take out delivered to avoid missing out on this simple pleasure. You are beach front and have access to loungers, and the hotel will even provide coolers if you want to bring your own drinks to the beach. If you prefer a beach club, the Indigo beach club is right next door and you can order cocktails, snacks and meals. Any tours you may want to take will either pick up at the hotel or at a spot within walking distance. Playa del Carmen is at your doorstep when you stay here. 5th avenue, the main pedestrian strip lined with shops, restaurants, cafe’s and bars, is literally a 5 minute walk away. If you want nightlife, you can head to 12th street where there are bars, disco’s and lounges for every taste. If you think Playa Palms is the right choice for your vacation in Playa del Carmen, contact us, we are happy to help – customercare@mayanriviera.com or 1-888-537-9797.